Woof! has been tested with browsers IE10, IE11, Firefox, Safari, Opera, Chrome, Edge. Theme Woof! 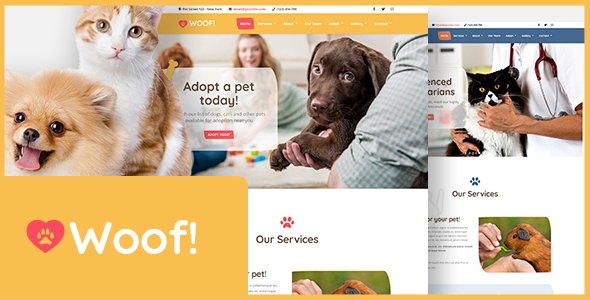 - Pet WordPress Theme has the following features: Made for any Pet or Animals related business., Built on Visual Composer., Free Theme Install u0026 Demo Setup.